Item # 312570 Stash Points: 2,795 (?) This is the number of points you get in The Zumiez Stash for purchasing this item. Stash points are redeemable for exclusive rewards only available to Zumiez Stash members. To redeem your points check out the rewards catalog on thestash.zumiez.com. 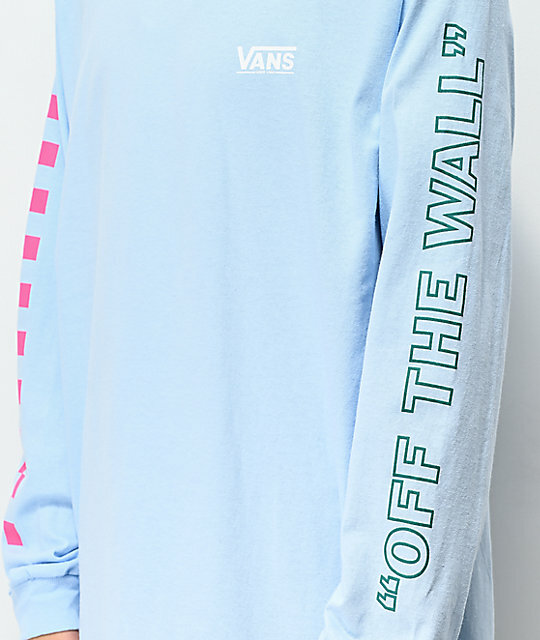 Spruce up your skate-inspired look with the Checkwork blue long sleeve t-shirt from Vans. 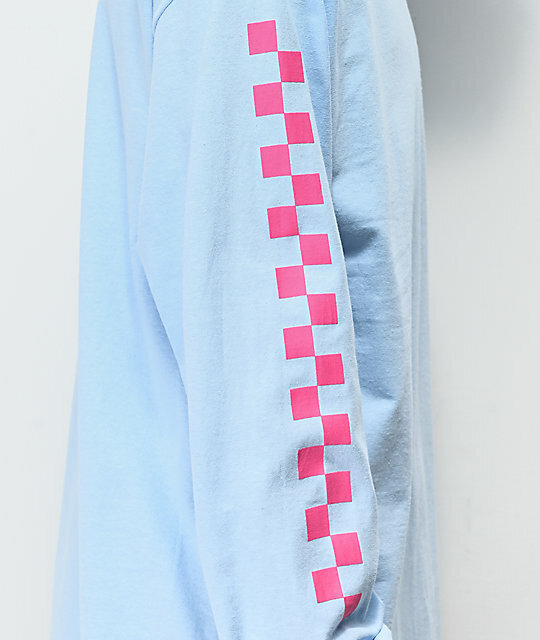 This simple shirt offers a light blue construction with Vans screen-printed on the left chest, "Off The Wall" down the left sleeve, and pink checkers down the right sleeve. Complete with a tagless collar for ultimate comfort, the Checkwork long sleeve is perfect for all your spring night skate sessions. 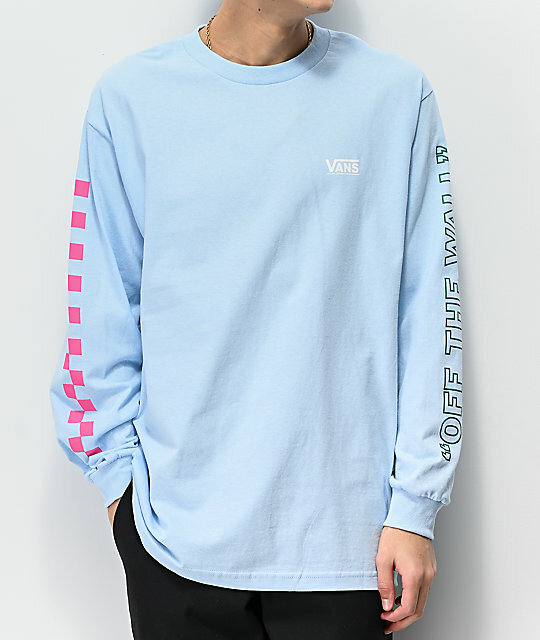 Checkwork Blue Long Sleeve T-Shirt from Vans. Screen printed graphics at the left chest & along both sleeves.